Small steps in the right direction, always equal progress! Make small healthy changes and achieve your New Year’s Goals! Ever feel like you are spinning your wheels? Like you are doing so many things but not getting anything done? This feeling is an everyday occurrence for me. Like everyone else, I was writing out my New Year’s Resolutions last week and trying not to write the same things I have written for the past 10 years. Get healthy, spend more time with family, blah, blah, blah. These go right out the door after the first week! Just like all those people who flood the gym and hog all the treadmills in an attempt to keep resolutions, I am guilty of trying to start anew this January. I tell myself this year will be different. Was it different? Did I follow through? Yes and No. I did follow through with my fitness goals, but it wasn’t until the summer months came around. I spent less time with my family due to my blog growing and taking more of my time, but I did spend some QUALITY time with my family. 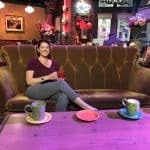 I started a blog class and made some changes to my work day, but I still have a long way to go. This year I decided, instead of making New Year’s Resolutions that I won’t follow, I made New Year’s Goals. I have never been a goal setter, but if I want to grow my business and take charge of my life I need to. I am even making a vision board this year. Sounds hinky and weird, but I think it will work. You can check out my Instagram feed to follow along in the process and see the finished board. If you are making goals or a vision board, I would love to see them. Just tag me (@taketwotapas) on Instagram or Twitter! To help me with goals, I have decided to try small action steps! These steps will help me measure how close I am to my goals and where I need to work harder. Smaller tasks always seem easier. One of my goals this year was to focus on my health. Getting exercise, eating better, and taking time for me. Not easily measured (unless we are talking about a scale number which I forbid) but the overall feeling. I want to feel energized, not sluggish. Awake and not on the verge of snoring in the car at a stoplight. 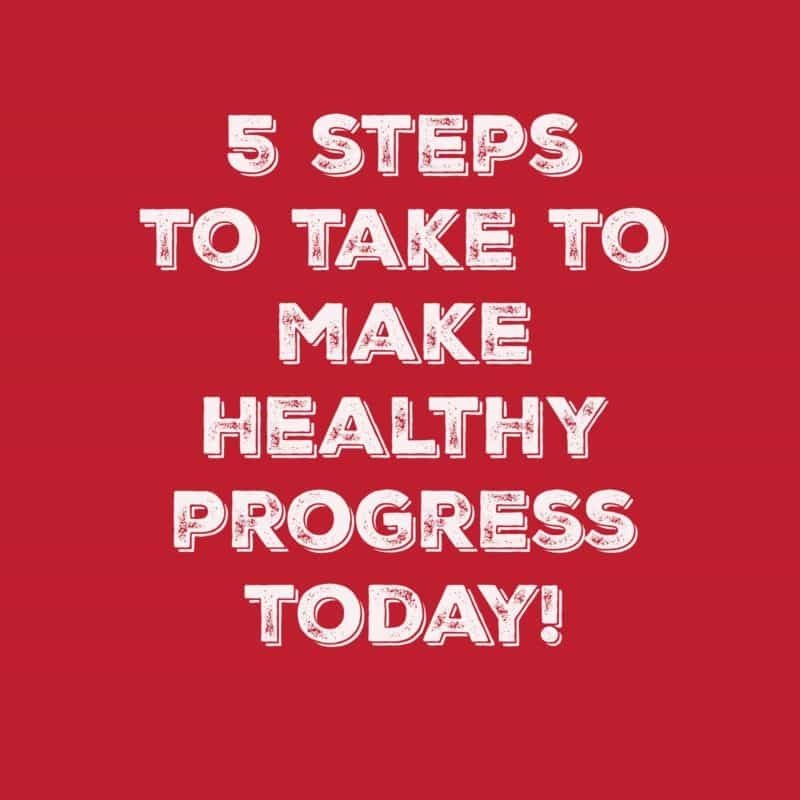 Here are five small steps that I am doing to help me achieve my goal. 1. Drinking an extra glass of water. I might not be getting my 64-75 ounces a day, but I am getting more than I was before. To help me with this, I fill a glass with water in the morning and leave it on the kitchen counter. Every time I go in the kitchen, I drink from it. Don’t chug-unless you want to- but take a few sips. By the end of the day, it will be gone. Small sips=more water. 2. Park farther away from the store entrance. Since I am constantly at the store, this can easily add up to 5 miles extra walking a day. A slight exaggeration – 3 miles is more like it. I can’t stand riding behind someone who is waiting for a car to pull out of a spot so they can park when an empty spot is right next to it. Most likely they need the exercise anyway. UGH! They could have already been in the store and checking out!!!! Walk people! A few extra steps a day-more exercise! Just like taking those pesky stairs instead of the elevator. 3. Turn off my phone at night. My phone buzzes every time something happens in my world. I am on social media all day long and I have notifications set so I can stay on top of comments and questions. Since there are people in the world that don’t sleep when I do, it buzzes all night long. Very distracting for a light sleeper. The easiest thing to do is turn it off so I am not tempted to look at who pinned my Pinterest pin, or what stupid comment some over-exposed, non-educated celebrity said. I can look at that in the morning when I am catching up on my Bravo Housewives over breakfast. No phone = more sleep! More sleep = happy mommy! A sure-fire way to banish the Momster! More sleep = happy mommy! A sure-fire way to banish the Momster! 4. Prep at night to start my day right. I am currently taking an online course to make over my mornings. I used to make fun of people who had a rigid bedtime routine, but I am the one laughing now. I’m not going full drill sergeant, but doing a few things… As the parent of a child who has ADD, having a bed-time routine is hard. Having a tween in the house is hard too. Too old for “nighty-night” time, I gave up on routines for the kids a long time ago. But I can have one for me regardless of what the kids are doing. Loading the dishwasher, after the kids have unloaded it, and turning it on before I go to bed means clean dishes and an empty sink the morning. Gathering the kid’s shoes and backpacks and putting by the front door so I won’t be hunting for them when we are running out the door. Making lunches the night before (as much as possible-PB&J doesn’t do well overnight) and gather for easier packing in the am. Cooking the bacon and muffins the night before so I can sleep a few extra minutes is a plus! 5. Snack better so I am not ravenous at my next meal. When my stomach is about to eat my liver because I am so hungry, I don’t make good food choices. You can usually tell when this happens because a french fry is hanging on the corner of my mouth and hamburger grease is on my clothes. If I have a healthy snack between meals, I have a healthier lunch or dinner. The same principal applies to going grocery shopping. Full stomach=express lane check-out with my few, choice items, including Progresso Light Soups. Empty stomach = snack cakes, pizza, and eating cheese puffs while I’m trying to unload my oversized cart. Not a good idea. When meal time comes, I make smarter choices! A smart snack (or meal) is Progresso Light Soups. I think soups are a great way to get vegetables, protein, and they fill you up fast so you can get on with your other goals and not be distracted by your stomach eating your pancreas. You will need it later on. 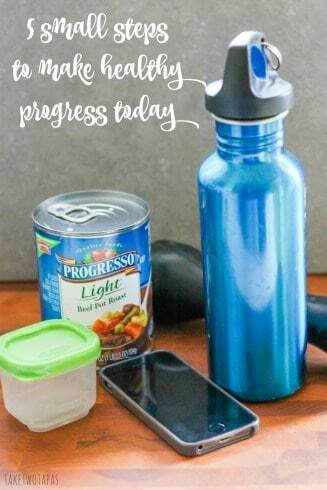 With 10 varieties, Progresso Light Soups are a small step in the right direction! Switch out your main course at dinner with soup, have soup and a salad for lunch, have a small cup for a pick-me-up in the afternoon. Any way you like to enjoy your soup, you will make #ProgressWithProgresso. Let’s keep our New Year’s Goals this year! 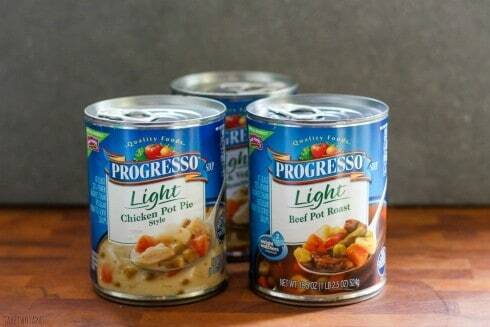 Download a Progresso Light Soups coupon so you can save some money at Publix when you are buying your soups. Your New Year’s Budget Goals will thank you! Win some $$ while you are making some small steps! Thank you for this lovely post. We all need to spread the word, educate our family and friends how important it is for them to change their diet! Fresh fruits and vegetables are the key to eliminating literally all chronic diseases and health issues. We all have to learn how we can increase our enthusiasm for living, eliminate sickness and dis-ease, and actually enjoy our life! I am trying to eat healthier and cook healthier for her family. Cooking at home is always better! My goal is to get healthy by cooking more meals and ordering out less. I have been doing really well until the flu hit. I’m finally starting to feel better after day 15 and can’t wait to return to cooking. Feel better! When I am sick I always make two big pots of soup! I could eat it all the time and I love that it can be made really healthy! I am trying to do 10,000 steps a day to stay healthy and it is harder than I thought it would be but I have toned and lost weight since January 1st. That is so great! Congrats!!! All those little steps sure do add up! Keep up the great work! I am walking more even on my hunch and at home. My goal is to do 10,000 steps at least 3-5 days a week. Lunch time walks are the best. They keep me from falling asleep in the afternoon! I have started making healthier freezer meals this year for myself and for my daughter’s family. I wear my fitbit and make sure I am getting enough steps in! I have wanted to get one for a while now! I might be asking for that for my birthday! I am walking everyday to get in better shape. Walking is a great way to get in shape! I love trying to park away from the store to get my extra steps in! I am trying to better this year. I started setting goals for the first time this year. I hope that helps me to be better too! Good luck! I am trying to eat more whole grains and avoiding white flour foods. Whole grains are a great way to make progress! I find that I enjoy the flavors more when they are whole like brown rice! That is a great idea! I have two kids that love to take long showers!!!! I am working on cutting out soda. For me, that is a huge step as i drink a lot of soda. I was a huge fountain soda drinker because the cans tasted like metal and the plastic bottles seemed flat all the time. I guess I was just addicted to the ice:) I had to go cold turkey to quit with a 3 day weaning process. I switched to sweet tea for my caffeine and sugar and then slowly changed the ratio of the sweet to unsweet until I was fully unsweet. That took about 6 months. Now I can’t drink it at all. I did have a slurpee the other day and it tasted so good going down and then 3 minutes later I was regretting it! Good luck and don’t beat yourself up! Even one soda less a day is progress! That is a great way to make progress. So many times our bodies are having a hard time fighting off all the chemicals that we are ingesting and going organic is a great way to help de-stress our systems. I am walking every day, parking my car far away from the door of stores. I use the stair instead of taking the elevator and I try and walk 10,000 steps a day. That is a great way to make progress! Every little step helps! You are never alone! We bloggers always forget to take care of ourselves and we need to! Thanks for reading! I love how small steps add up! My small step, in addition to the others mentioned here, is skipping wine during the week (unless I have a food & wine event I am covering for work) and save wine for the weekend. I am planning my meals out for the week. By taking the time to do this it helps me to stay within my calorie limits. I am also drinking more water. I keep my gym clothes in my car so I have no excuse not to exercise. That’s a great tip!! I usually just put on my yoga pants first thing in the am so I don’t forget my clothes. I am cutting out drinking soda and drinking more water and making better food choices. Cutting out soda is a great way to make healthy steps. When I gave up soda I was drinking three large fountain cokes a day. It took me 3 full days of headaches to get off and then I went cold turkey for a whole month. After that I only drank one when I went to the movies. Not I can’t drink them at all. Thanks for reading and keep up the great work! The exercise part is what I need to do. I do the others (yay me! ), but getting off my rear is the hurdle I need to get going on! Exercise is the hardest part I think! I joined a group so I have some nice ladies texting me to remind and encourage me. Thanks for reading! My small step is to really listen to my body’s hunger and fullness signals to prevent overeating and eating when I am not really hungry. Thanks for reading! That is a great way to make healthy choices. I keep telling my son that when he thinks he’s hungry, he is probably just thirsty. I know he doesn’t drink enough during the day but he doesn’t know how to recognize that. I told him that when he thinks he’s hungry to drink a glass of water and then if he is still hungry 10 minutes later, then eat something. Good luck!